The Little Book of Sketching will help aspiring artists sketch their way through life with just a pencil and some paper. If you've ever been held captive in a long meeting, sat for hours in a doctors waiting room, or been stranded at the airport, you're not alone, and this book has the remedy. 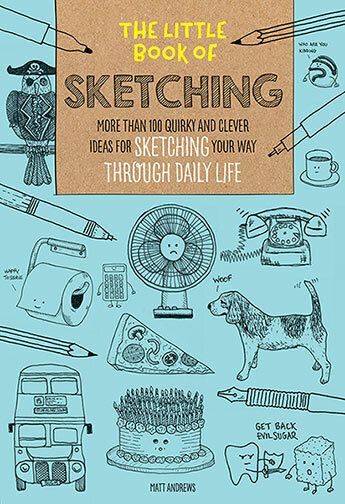 A journey that both inspires and entertains, The Little Book of Sketching shows you how to pass the time through life's daily events using nothing more than a pencil, a sketchpad, and your imagination. 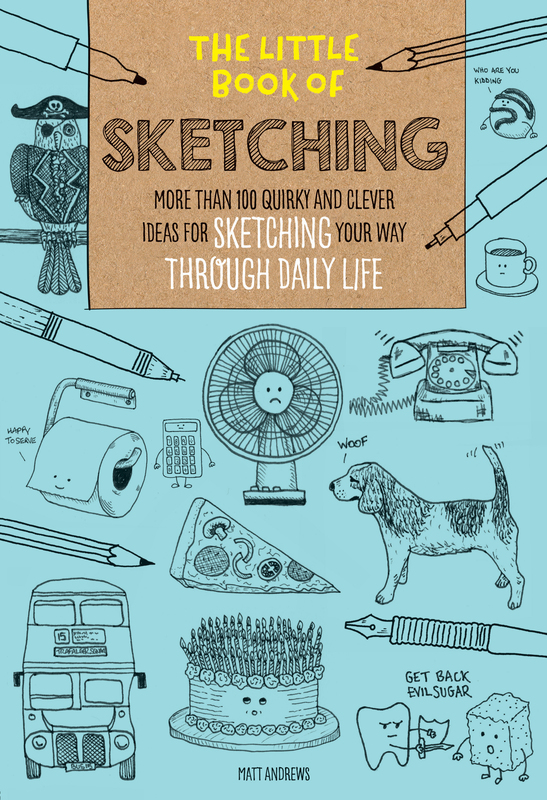 Filled with quirky, witty sketches and plenty of fun, aspiring sketchers will discover how to turn life's boring events into inspired artistic moments. Simple drawing ideas and minimal tools make off-the-cuff sketching accessible to anyone, anywhere. Beginning with a brief introduction to the artist's process, readers will then be treated to a plethora of scenarios and situations from which to draw inspiration for their own doodled artwork; moreover, the illustrations and prompts are sure to induce a smile, reduce stress, and deliver creative inspiration throughout your daily life. Founded in 1922 by artist Walter T. Foster, Walter Foster Publishing, a division of Quarto Publishing Group USA and a subsidiary of the London-based Quarto Group, Inc., is the world's leading publisher of instructional art books and kits for adults and children. Walter Foster's diverse selection of drawing, painting, doodling and mixed media art books and kits have created a foundation for millions of beginning, intermediate, and advanced artists looking to hone their talents, learn new techniques, and discover different mediums.